Stans will continue to have complete control over the conduct of the international arbitration proceedings, insofar as the proceedings relate to the Company’s claims, and continues to have the right to settle with the parties, discontinue proceedings, pursue the proceedings to a final determination and take any action Stans considers appropriate to enforce judgment. Under the terms of the privileged litigation funding agreement, the Company has given certain warranties and covenants to the funder. In consideration for the provision of arbitration financing, Stans has agreed to pay to the funder a portion of any final settlement of the arbitration claim against the Defendant (the “Funder’s Fee”). The Funder’s Fee shall only become payable upon a final settlement of the arbitration claim and the value of the Funder’s Fee is dependent upon a number of variables including the value of any settlement and the length of time taken to reach a settlement. The agreement also provides that the amount of the Funder’s Fee shall not exceed the amount of the aggregate proceeds of the arbitration claim under any circumstances. Stans Energy Corp. is a resource development company focused on advancing rare and specialty metals properties and processing technologies. Stans is now transitioning into a supplier of materials and technologies that will assist in satisfying the future energy supply, storage and transmission needs of the world. Previously, the Company acquired, among other things, the right to mine the past producing rare earth mine, Kutessay II, in the Kyrgyz Republic. 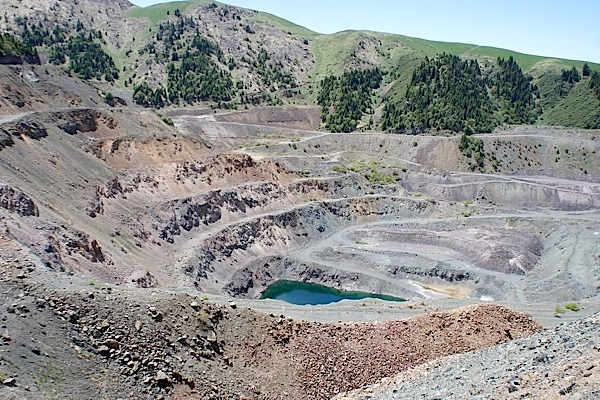 Due to the expropriation actions taken by the Government of the Kyrgyz Republic, the Company is undertaking international arbitration litigation to protect the Company’s rights and recover damages estimated at over US$210,000,000, caused by the Republic.